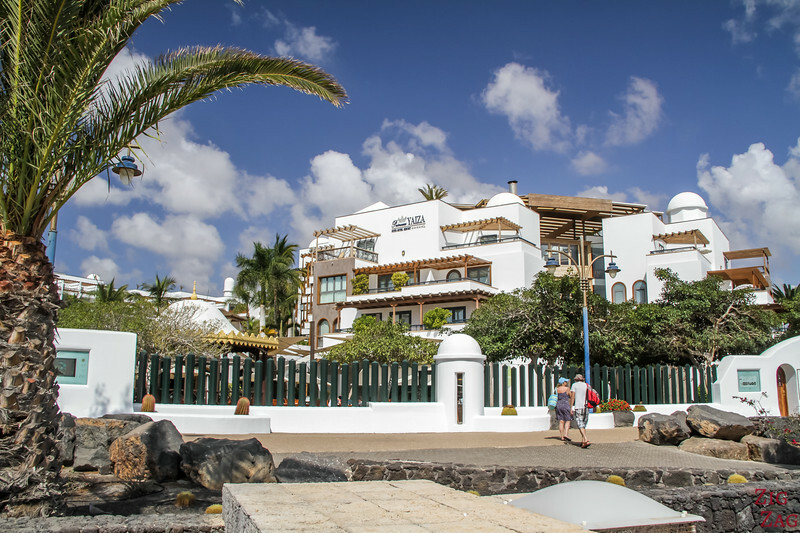 Where to stay in Lanzarote ? This is an excellent question. 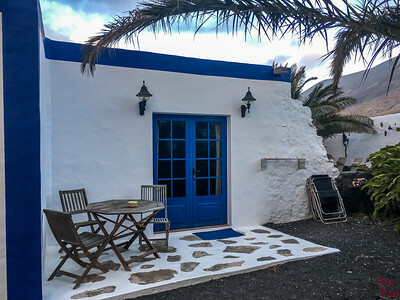 There are options for everyone with resort towns, charming coastal villages or off the beaten path scenic locations... Below is my guide where I compare the best places to stay in Lanzarote including area descriptions and suggestions for best hotels, resorts, and other accommodations in Lanzarote. Find your gem! But you can also find some great apartments, B&Bs and villas to stay in. See my recommendation for each section. I have created this guide totally independently. The suggestions are my own selection based on my experience and my in-depth research. But to be transparent, I have, of course, not stayed at all the hotels listed. 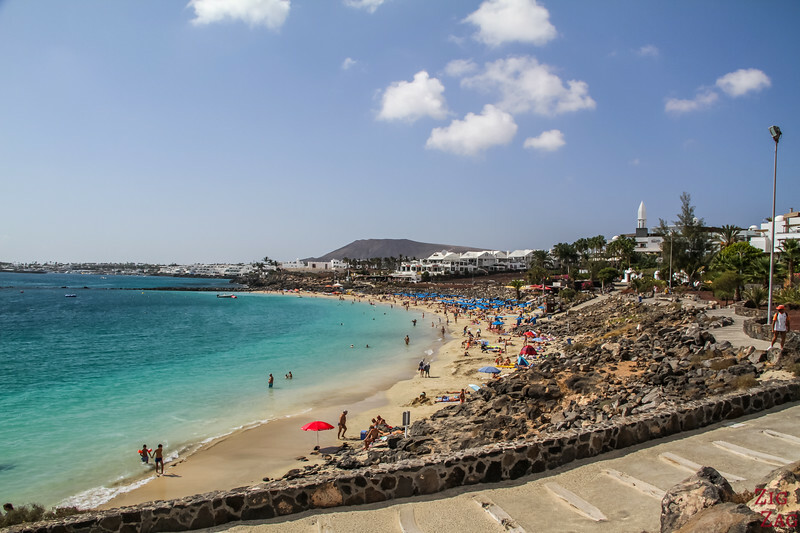 And if you heart is already set on staying at a 5 star resort hotel in Lanzarote, check out my comparison guide. 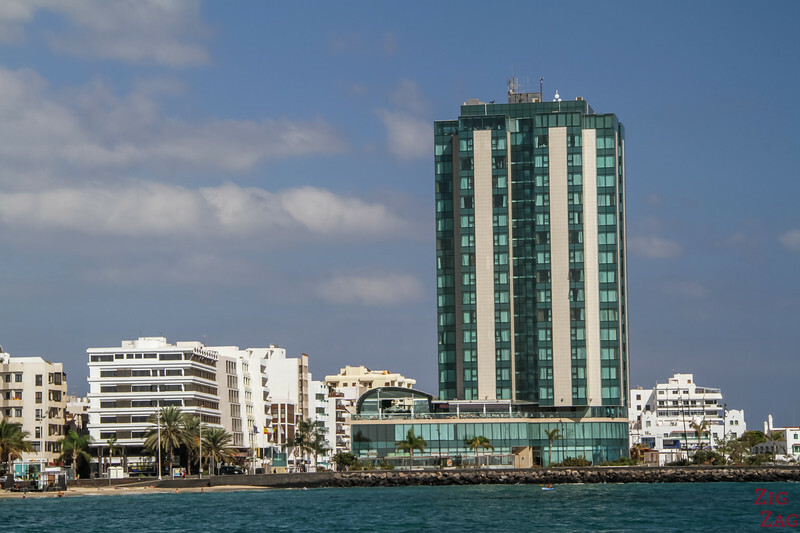 Arrecife is the capital of Lanzarote. It is a large town with a nice beach and taller buildings. However it is not really geared towards tourism. There is a section about each one in this guide. You can also find small towns in the center of the island that have a long history and have kept their authenticity. The main one is Teguise which used to be the capital. Or you can find great guesthouses and rentals between towns, where you can see more of nature and volcanoes. This is what I did for a little while. I will share my experience further in the article. 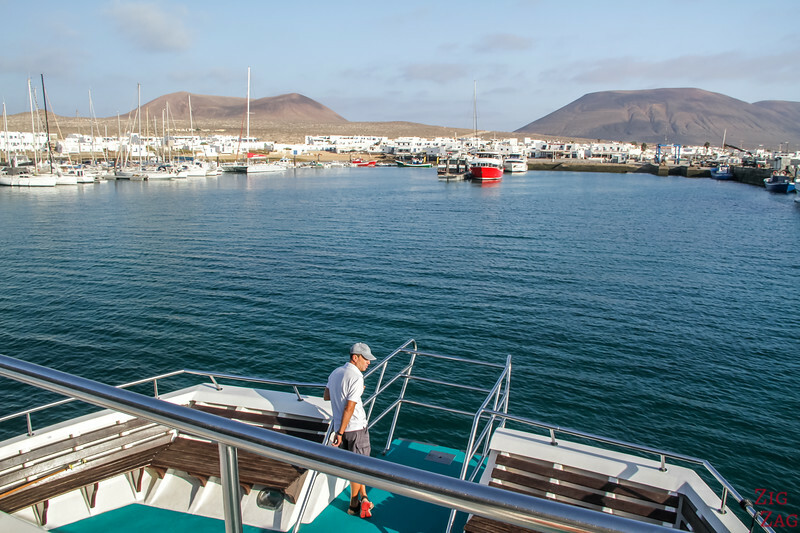 The last option if you want to spend some time away from the craziness is to take the ferry to La Graciosa. There are 2 settlements on the island but no paved roads at all (only tracks in the sand). A great alternative but with limited excursions. I am starting with Playa Blanca because it was my favorite of the 3 resort towns. I enjoyed the size of the town, the beaches the walk along the water, which is not right by the road. It has a relaxed vibe that I appreciated. The town has different sections around beaches and at the East end, the Rubicon Marina with its public swimming pool and nice dining options. Located on the South Coast of Lanzarote. 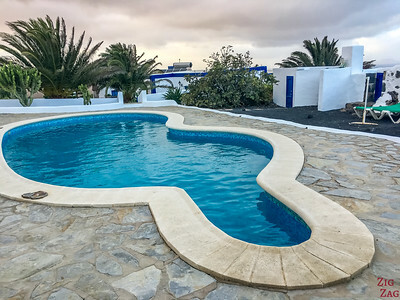 This location is great for access to the neighbor island of Fuerteventura and the South Attractions (Such as the Papagayo beaches, Los Hervideros, the Green lagoon...Timanfaya) are also easy to access. 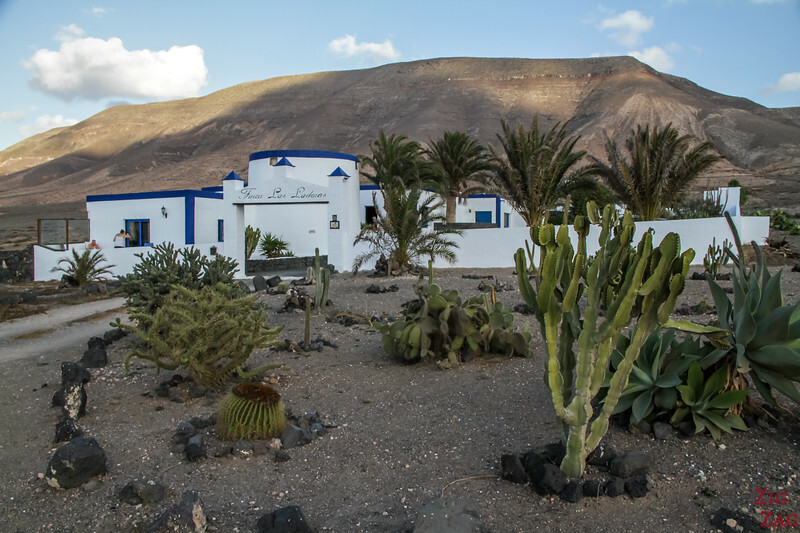 However it is a bit far from all the North attractions such as the Caves, the Cesar Manrique attractions and La Graciosa. 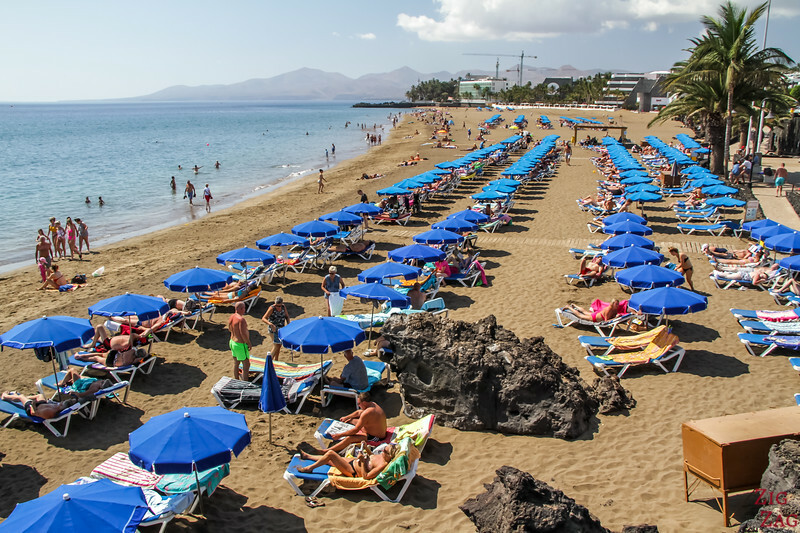 As a resort town, it gets quite busy but it is not as intense as Puerto del Carmen. However nightlife is limited so it is quiet. The beaches are quite small but they were the most beautiful of all the resort towns (in my opinion). And if you want more space, you can walk east to the wild beaches of Papagayo. 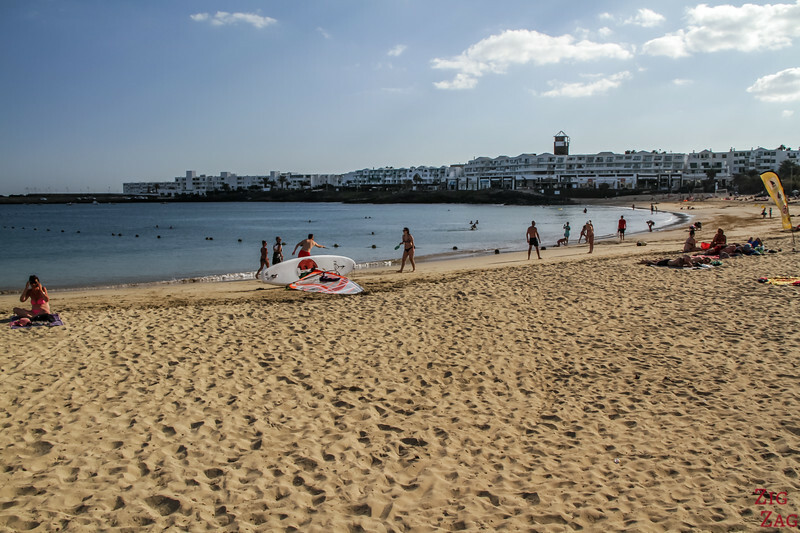 Puerto del Carmen is the most famous and largest of all the resort towns in Lanzarote. The advantage is that you can find accommodations and things to do for all budgets. The town is quite long. 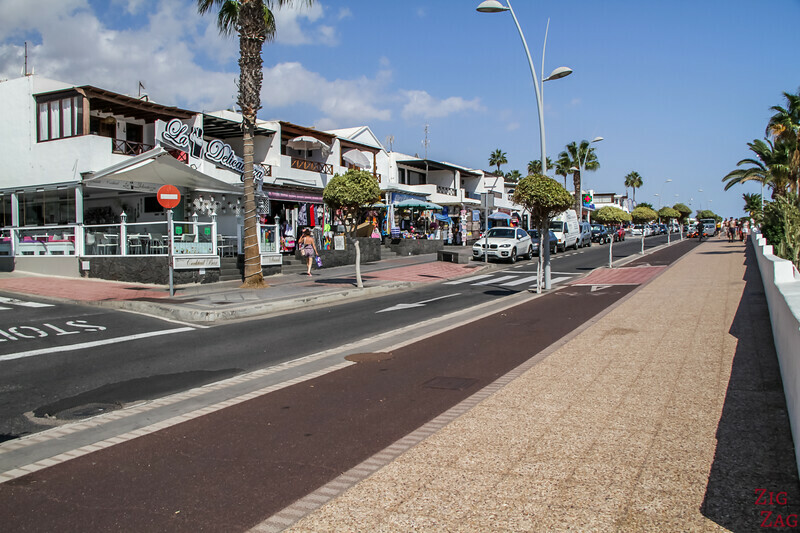 It takes a lot of the time to walk from the marina to the other end... And I think the promenade is less enjoyable than in Playa Blanca because you are close to the cars. 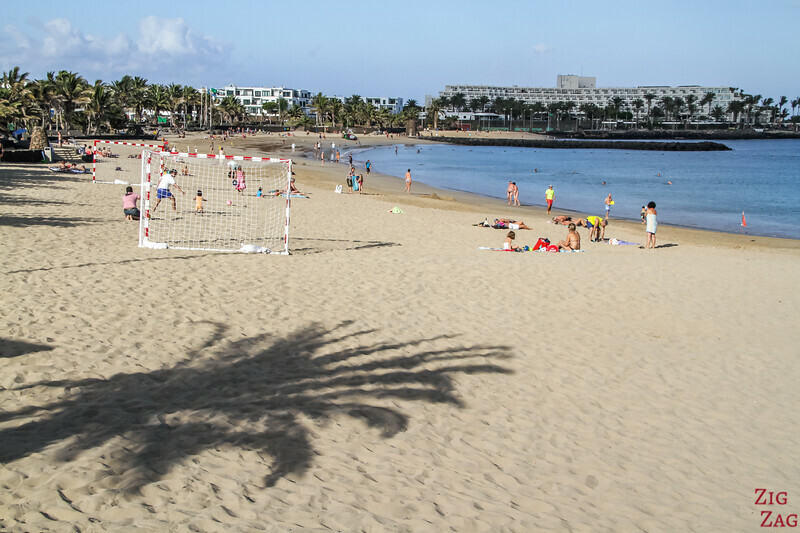 Puerto del Carmen has a great location on the East Coast of Lanzarote. It provides easy access to all the attractions. It is really busy and never quiet. Many restaurants and shops have loud music. But if you enjoy nightlife there are many bars and places to dance. It is the resort town with the largest beaches. However it becomes a bit of a "sardine box" like we say in French where everyone is aligned and too close to each other. 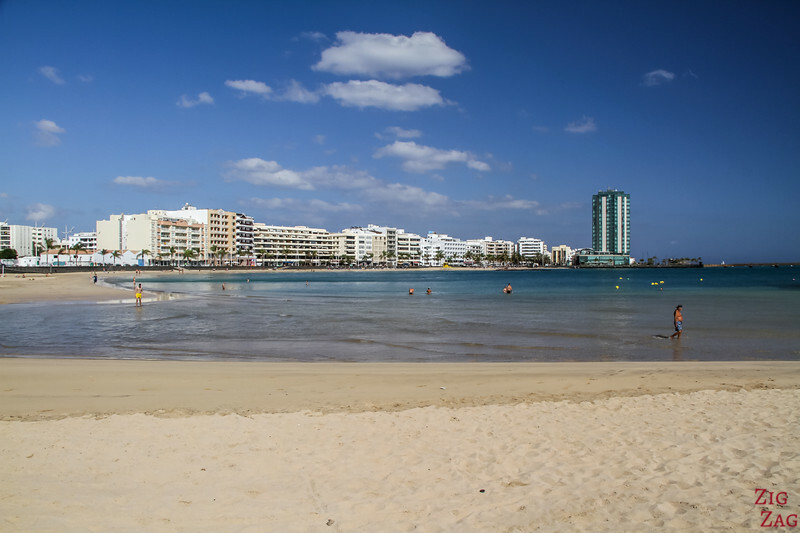 However if you avoid the main beach (Playa Grande), you can settle in smaller beaches or rocky coves. All beaches are open to the public, even in front of hotels. A lot of shopping opportunities with big brands and small shops, from luxury designer clothes to local craft. 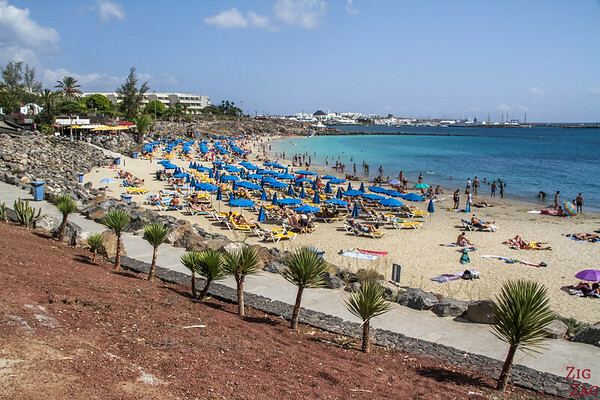 Costa Teguise has been developed for Tourism. So you will find very practical facilities and lots of carparks close to the beaches (which is not the case of the other resort towns). This is a big positive! 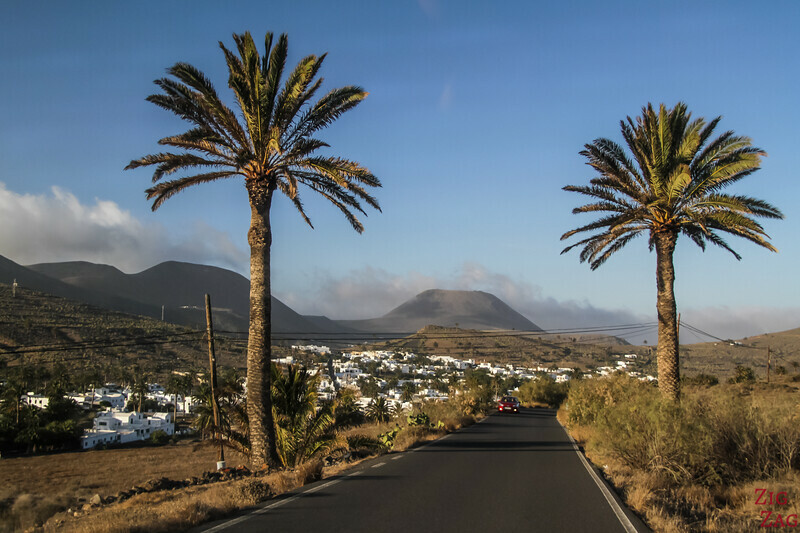 I think the best things about Costa Teguise is that is has a great location with easy access to all the Lanzarote attractions. It is not as charming as Playa Blanca but I enjoyed the relax vibe. It is great for families with young children. 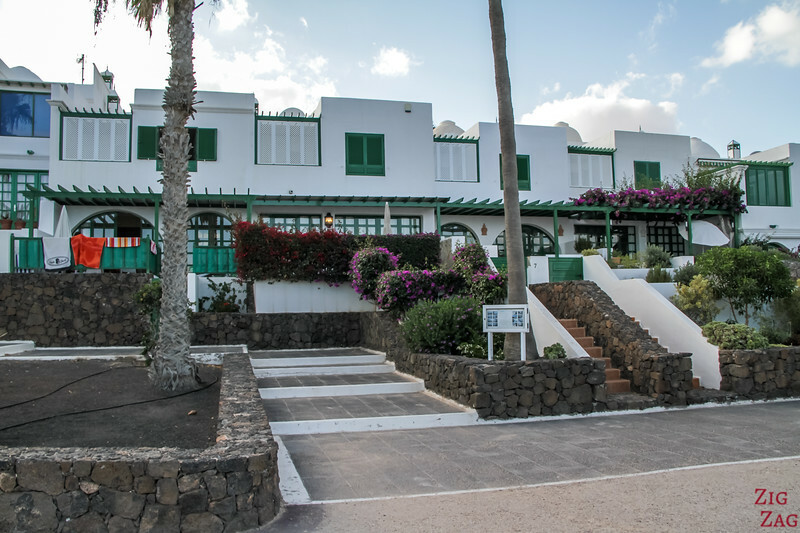 Located on the East Coast of Lanzarote, north of Arrecife, 15min from the airport. Not as busy as the other resort towns, but it is developing so it might change. You can find all you needs for facilities and activities. It is quieter at night than Puerto del Carmen. This is however not a place dedicated to people who want to shop. If you want to get out of the touristic area, to find more authenticity, here is my selection of great towns to stay in. They are very different from one another, and you can find something for everyone's taste. But then you have to hire a car to get around. 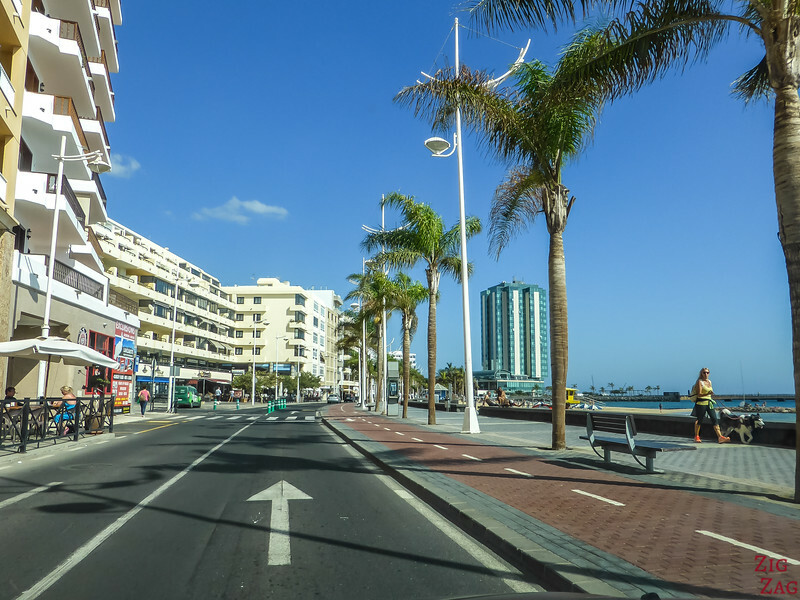 Read my guide to hire a car and drive in Lanzarote. 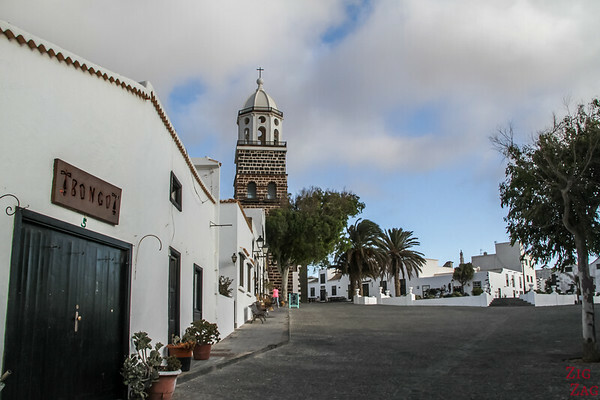 If you are looking for an historical vibe, then Teguise is a great choice. 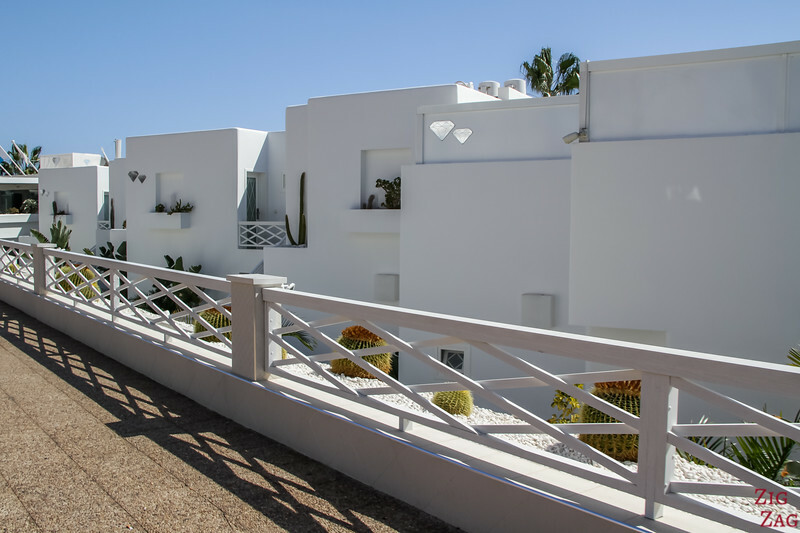 It used to be the capital of Lanzarote and it has kept its charm. 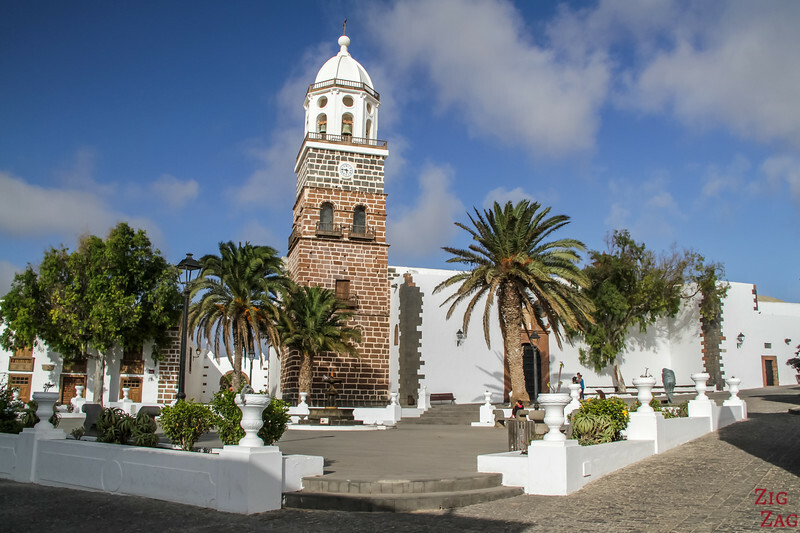 Activities - As I said, it has easy access to all the attractions - in Teguise itself, you can explore the center with the church and historical buildings. 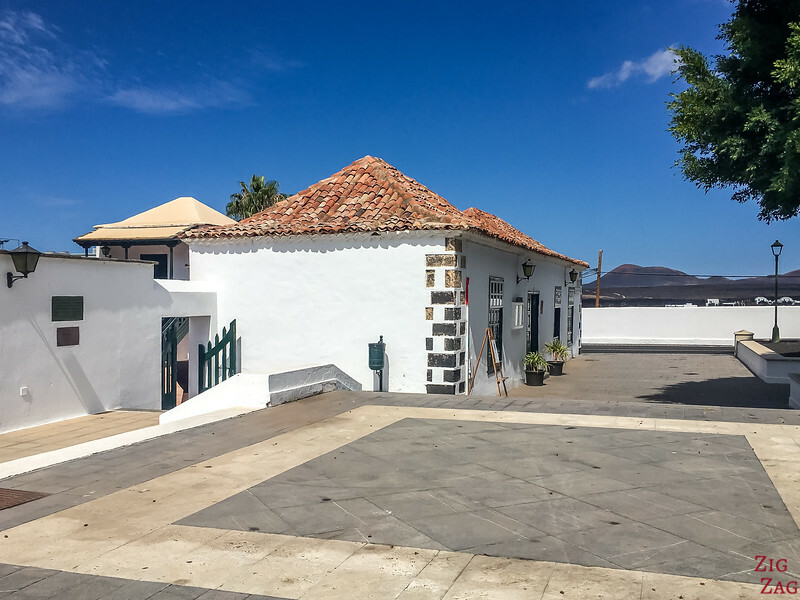 Above Teguise is the Santa Barbara Castle with the Pirate museum and not far is the fascinating museum house of LagOmar, created by Cesar Manrique. I had a small crush on the coastal village of Punta Mujeres. Easily accessed from the main road, it feels integrated between the Earth and the Sea. A lot of small white houses, some fishing boats and several rock pools that fill in at high tide allowing you to refresh. It has a laid-back vibe and some inviting little eateries. Location - North-east coast of Lanzarote. Great for all the North Attractions but quite far from the South Coast. One of the few options on the West coast is El Golfo, South fo the Timanfaya National park. It is a small town right next to Charcos de los clicos where a volcan meet the ocean and a green lagoon has formed. This is a great place to enjoy sunset. If you are looking for a quiet place to stay with some trees and greenery, then Haria is what you are looking for. But beware that except when the Saturday market is on, it is really really quiet. A small town, lots of charm and some accommodations with great volcanic views. Activities - Not much to do in the town itself except the local craft center, but it is very central to everywhere. If like me you want to be lost in Nature with great views, you can also find rentals and guesthouses between towns. No shops and restaurant but great silence and panoramas. I really enjoyed my stay at Finca Las Laderas. 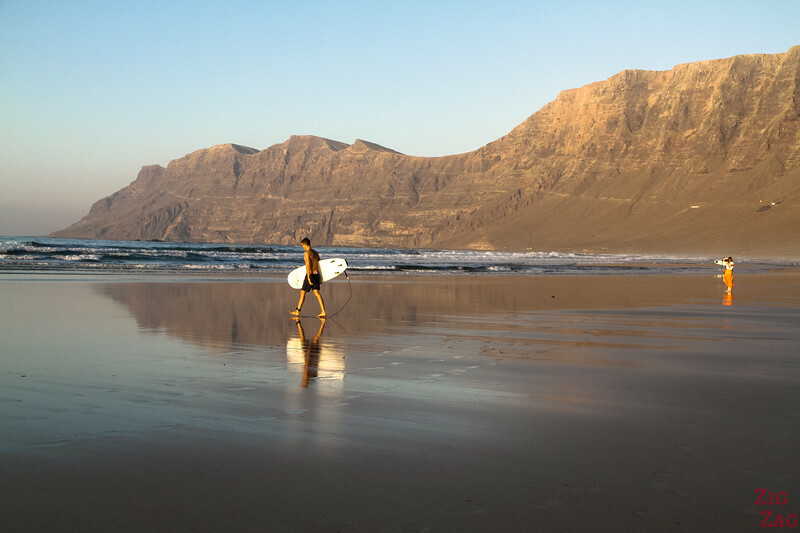 It is located between Teguise and Famara. it has several apartments and a swimming pool. This was exactly what I was looking for! Check out more photos and availability. 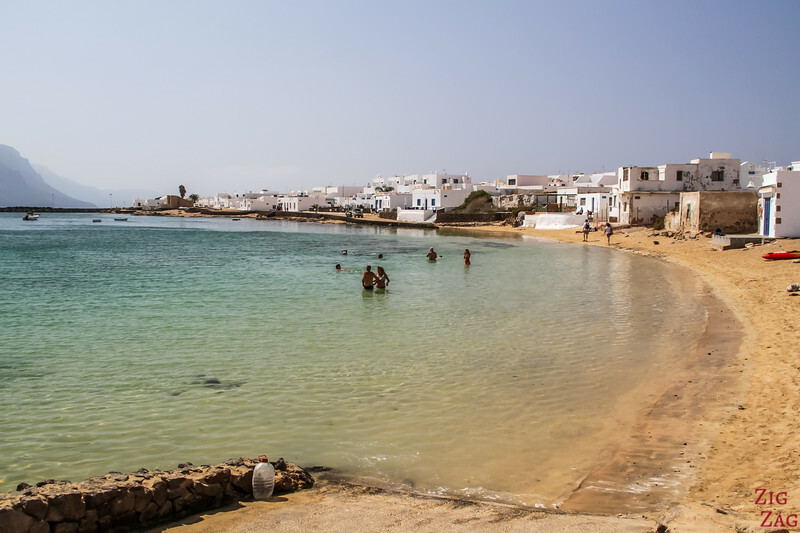 If you want to settle just in one place, far from the buzz and the traffic, then you can get off Lanzarote, take the ferry to the small island of La Graciosa and relax there for a few days. There are no roads and only 2 settlements on the whole island but amazing white sand beaches. There are just a few 4WD, that can take you on the sand track to different part of the island. 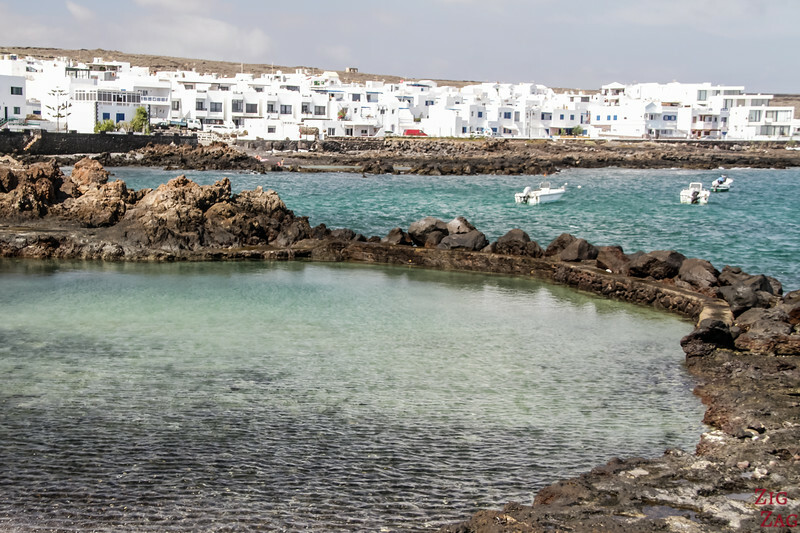 Arrecife is the capital of Lanzarote. 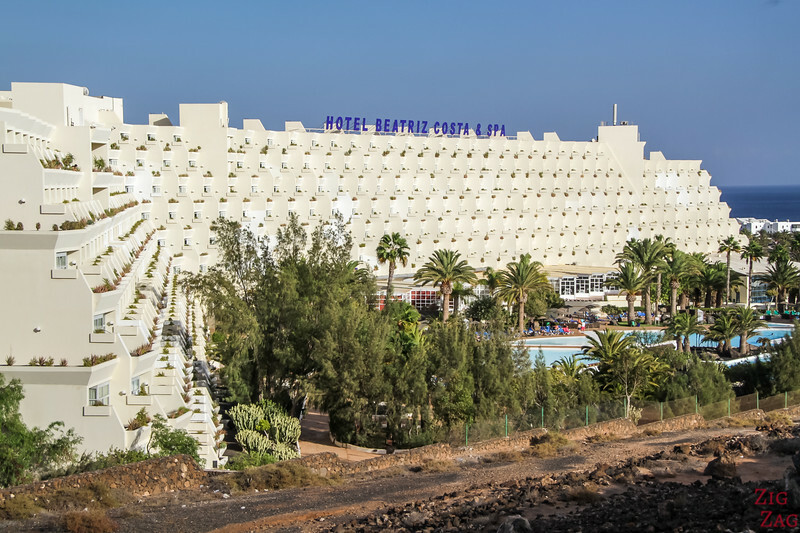 It is my least favorite choice for where to stay in Lanzarote. Mainly because this is the only place where you can find buildings. I must admit the beach with shallow waters is great of floating but otherwise it is a big city. Very centrally located on the East Coast of Lanzarote. Easy access to all the attractions and close to the airport. Lots and lots of shopping possible. Now that you have found your accommodation, it is time to plan you activities. 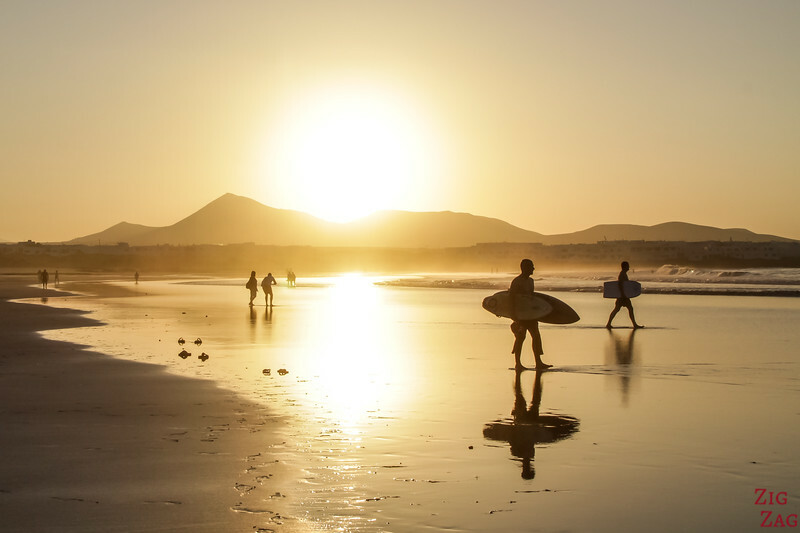 Discover my article about the best places and things to do in Lanzarote. So, where are you going to stay? Such a comprehensive set of info – exactly what we needed (and then some).